International summer camps for boys and girls aged 3-18 years old with a focus on languages and outdoor activities in the beautiful Lake Geneva area. St. George’s International summer camps are ideal for adventurous kids and teenagers who wish to improve their English, French or German skills. Set in the beautiful region around Montreux - the Swiss Riviera is one of Switzerland’s most scenic regions. Campers immerse themselves in the spirit and ethos of St George's which is all about respect, challenge, care and learning. 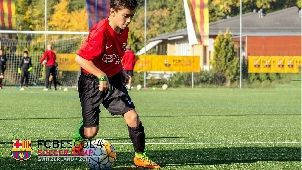 At St George’s we are very pleased to be partnering with SySport and FC Barcelona to run a world class football camp. For one week, campers have the opportunity to train and play with the best coaches and players from around the world. 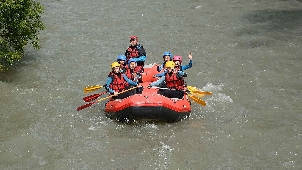 It will be an incredible experience which will inspire and develop skills while having fun and making lifelong friends. Lake Camp is for those who are eager to explore the world around them and try new things. 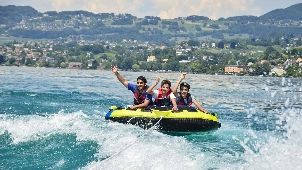 Lake Campers experience Lake Geneva in many ways, from sailing, water skiing, tubing and other water sports. Lake Campers learn how to be contributing members of a team, how to lead and to follow and to take calculated risks. 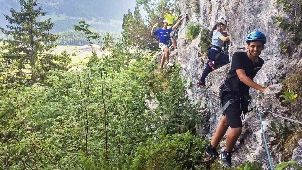 Mountain camp is for those who enjoy all mountain activities, from climbing to biking to hiking to abseiling. Campers are given opportunities to experience and develop their skills in numerous activities in incredible locations around the foothills of the Alps. 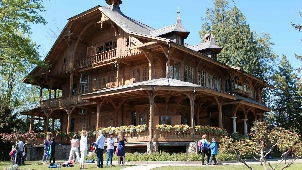 One week of exciting cultural activities to discover Switzerland. Meeting new friends from different nationalities and creating long-lasting friendships. We have created a varied, interesting and interactive camp for our young campers between 3-7 years old. 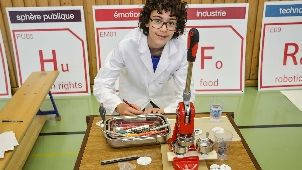 The Nano Camp is run by our experienced and talented educator in the heart of the St. George’s campus, Le Chalet.